It looks like this is the summer of the Facebook e-commerce bot! Only two months after the social media giant unveiled its chatbot technology in April, a company called Modiface has launched a bot that lets users try on and buy lipstick. ModiFace is a VR company that’s made apps for L’Oreal and Avon. 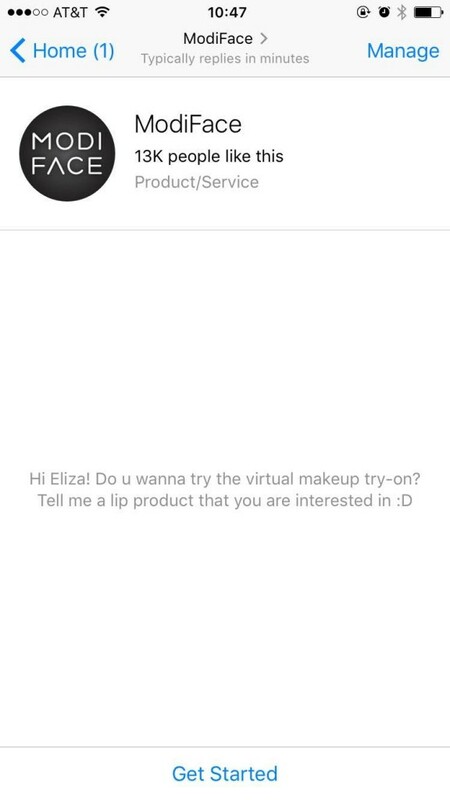 It has its own makeup try-on apps, however none of them allow users to buy the products featured. Enter Facebook Messenger. Parham Aarabi, the CEO and founder, told Racked, “There’s always a case to be made for custom apps for a brand, but the thing with Facebook Messenger is that it has a billion users.” It was a natural step to use it. 1. 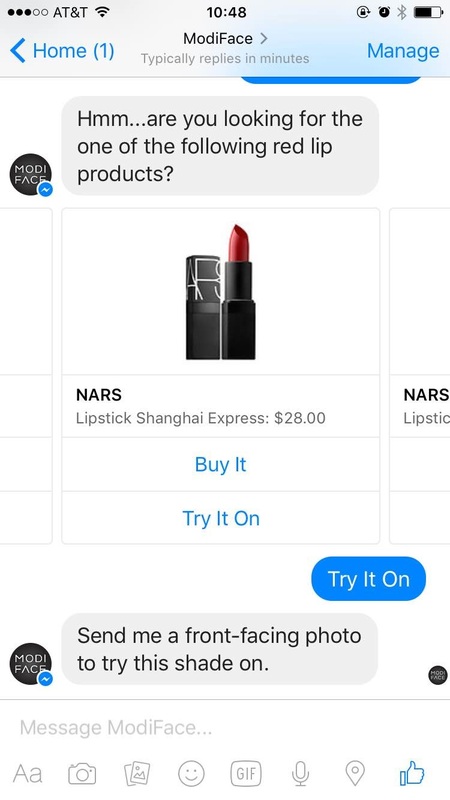 When a user adds ModiFace to their list of friends of Messenger, they’re prompted to ask the chat bot about lip products. Here’s the empty chat box for Modiface. 2. 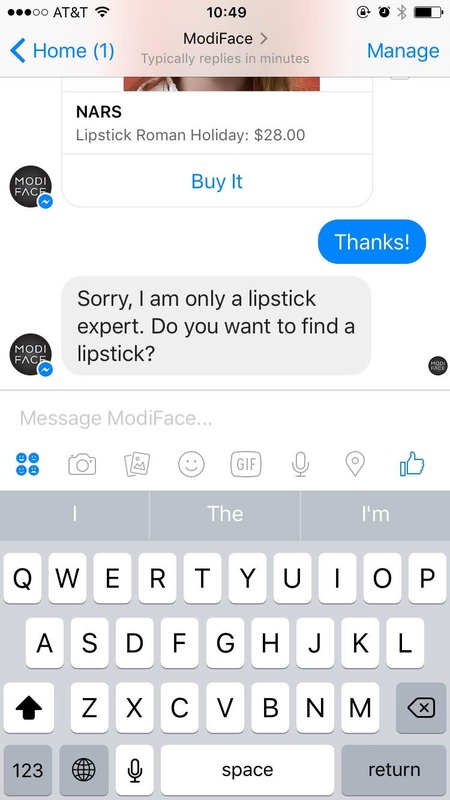 Then ModiFace’s Facebook e-commerce bot shows the user a variety of lipsticks from the brand in question, with the options to buy them or try them on. 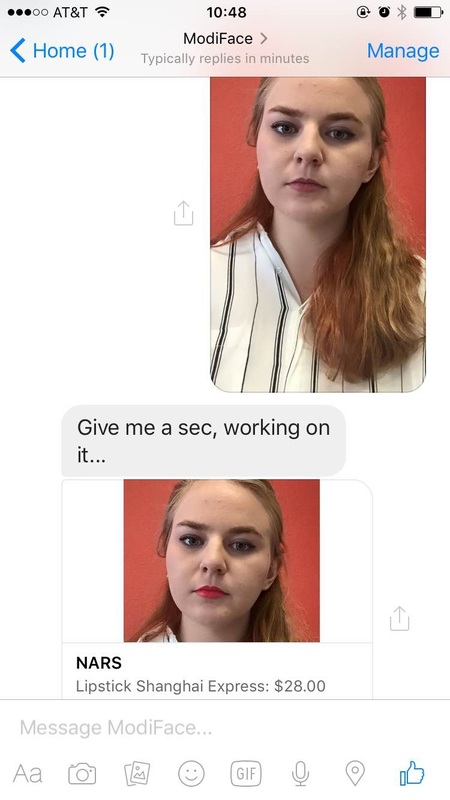 When the user taps “Try it On,” the bot requests a front-facing photo. ModiFace offers different lipsticks for users to virtually try on. ModiFace applies the color to the user’s selfie. 4. When a user asks for a different color, ModiFace applies it to the same photo automatically. ModiFace automatically applies a new color to the photo. 5. 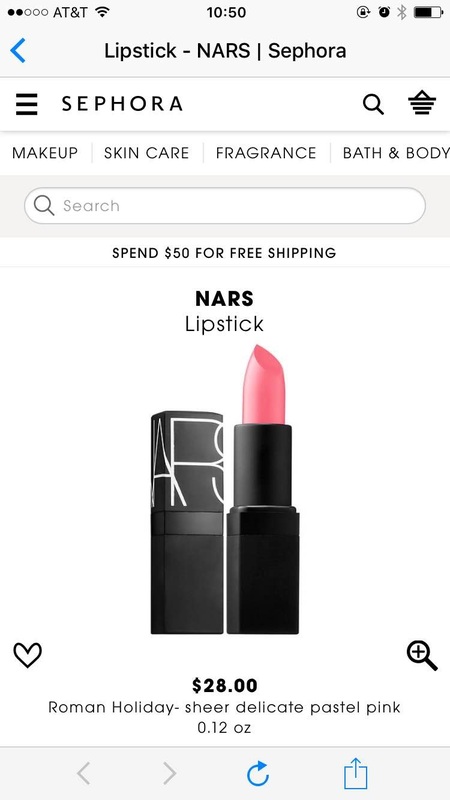 When the user clicks through to buy the lipstick, they’re led to the product page on Sephora’s site. 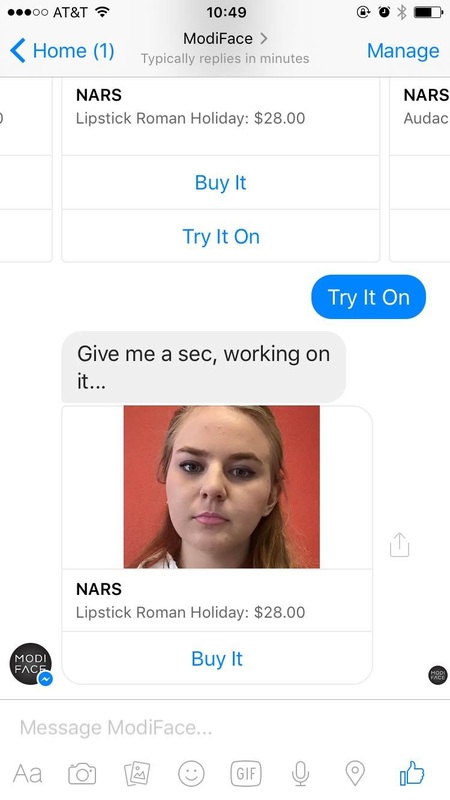 The Facebook e-commerce bot delivers users to Sephora’s site. As seamless as this process appears, a lot could be made better. For example, when a user thanks the bot or says goodbye, ModiFace repeats the same line about lipstick. Conversations are generally difficult to program, as computers currently aren’t great at processing all the complexities of human language. The chat bot has a very limited set of interactions for now. Some users have reported issues with the face recognition technology as well. However, this represents a big step for Messenger chatbots. 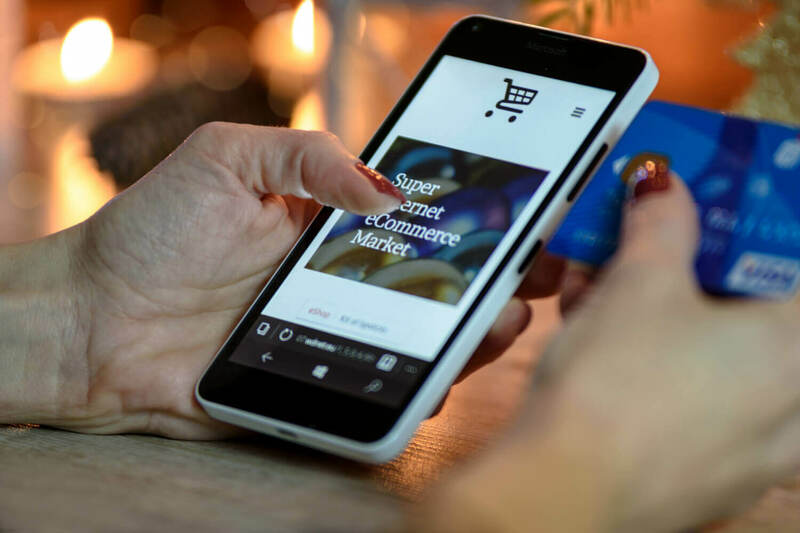 There are hundreds, if not thousands, of applications for Facebook e-commerce bot technology, as well as for applications on other platforms, like Kik. Customer registration interface and the addition of facial recognition software opens up a lot of opportunities for cosmetics, hair care, and fashion brands. Even if we remove e-commerce from the equation, it doesn’t take much extrapolation to envision Facebook creating its own version of Snapchat with interactive image technology like this. Other businesses that are trying their hand at the Facebook e-commerce bot game include Burger King (for ordering then picking up meals in restaurants), 1-800 Flowers, Spring, and KLM Airlines. Mondelez–the company behind Oreo, Trident gum, and Cadbury–recently made a large deal with Facebook to focus on chatbots and the social media platform’s Audience Insights API data tool. While Mondelez’s spokespeople declined to say which brands are developing chatbots, they cited two use cases for the technology–customer service and e-commerce. A fair amount of publishers are also using chatbot technology, including the Wall Street Journal, CNN, Complex, Fusion, and TechCrunch. 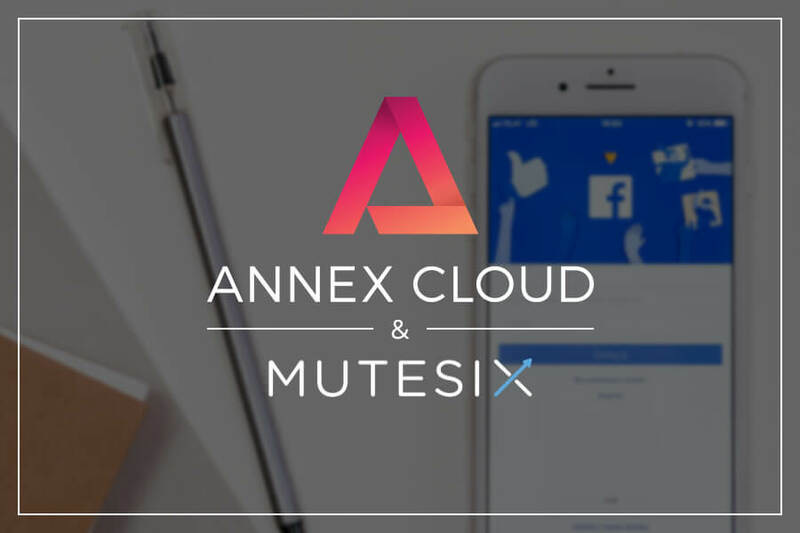 When it comes to the world of e-commerce interactions through Facebook–for which Annex Cloud is developing its own solution–there are a few important tips to remember. We Are Social notes that Facebook has made it extremely easy for users to block bots, so businesses have to ensure that every interaction is the best it can be. One of the most obvious ways of doing this is to keep the goal of helpfulness in mind. For one-on-one interactions, consumers will likely only want personalized advice, support, and opportunities to buy easily and/or at a discount. This isn’t the space to barrage them with generic marketing messages. Facebook hasn’t yet revealed details about how it will promote chatbots–e-commerce and otherwise–to users, or how it’ll share user data. Chatbots pop up for some Messenger users when using the search function, but it looks like, as of now, it’s up to individual companies to promote their own bots to their existing audiences. Tip: Social media login for websites eliminates the need of remembering multiple passwords thus improving conversion rates.